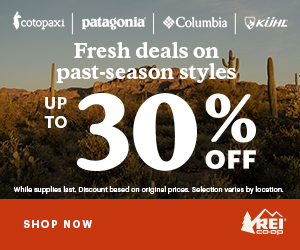 In the market to evolve your backpacking gear, but lost on where to begin? We all know the major brands sold at the large retailers, and there’s a reason they’re so popular: they make great gear! 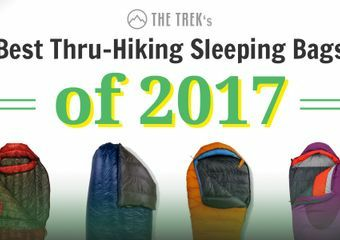 But instead of rushing out for a big-brand pack, tent, or sleep system, take a minute to check out the offerings from smaller companies who don’t have the exposure of the top-name brands. With some research, you will find lightweight, high-quality options, many of which are manufactured in the US. 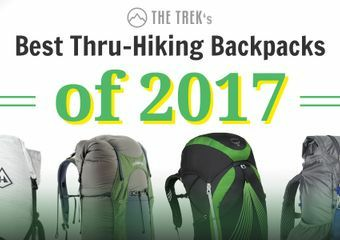 Here, I’ve compiled a list of trail-proven brands and their top selections to get you started. There is an ever-expanding array of companies producing durable, functional, lightweight packs. Here are a few options, all of which are popular amongst AT hikers. ZPacks boasts top-notch cuben fiber designs. Their Arc Blast backpack weighs 21 ounces, and can haul loads of up to 35 pounds—a great pack for those looking for plenty of room without the weight. 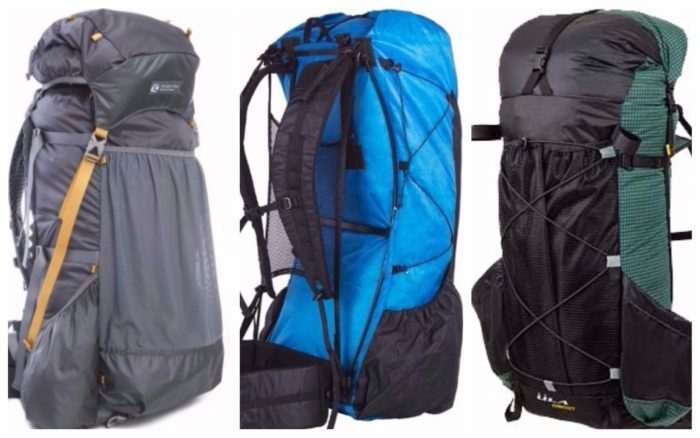 The pack sizes vary, from 45, 52, and 60 liters. Ultralight Adventure Equipment (ULA) offers their 41 ounce Circuit backpack. This 68-liter workhorse will haul loads of roughly 30 pounds comfortably. The Circuit is a great choice for those with a lightweight setup, but still enjoy their luxury items. Gossamer Gear also fashions great packs. The Kumo sports 36 liters of capacity at 15.7 ounces; great for anyone with an already ultralight setup. Note that the Kumo is a frameless pack, with a recommended load of 25 pounds or less. Look beyond freestanding tents. You’ll save weight from the poles without sacrificing space. Six Moon Designs Lunar Solo tent is an affordable, lightweight (24 ounce) option for those looking for a comfortable shelter with ample room. 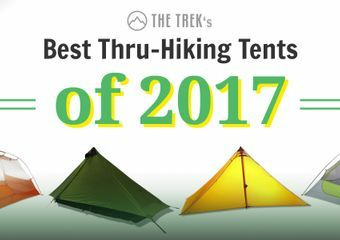 The bathtub floor and no-see-um netting will keep you dry and happy, and the trekking pole set-up means you don’t have to worry about tent poles. 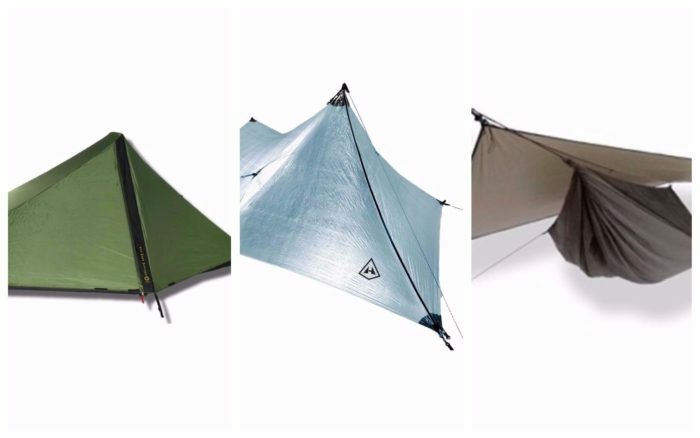 Hyperlite Mountain Gear offers a selection of cuben fiber tarps, such as the Echo I. If you are going the minimalist route, this might be the shelter for you. More exposure to the elements is a trade-off with weight-saving tarps, but you’ll be carrying a shelter that weighs just 9.4 ounces. Hennessy Hammocks are a great option as well. With an integrated bug net, and the comfortability a hammock can boast, hammock hangers swear by the Hennessy brand. The Ultralite Backpacker Asym Zip is a two-pound option for those who like to sleep off the ground. Lastly, here are some lightweight, alternative options for staying warm at night. Enlightened Equipment crafts custom quilts that are both affordable and extremely lightweight. The Revelation allows the user to zip up the footbox on chilly nights, or unzip it for warmer nights. Bonus: their high-quality gear is crafted in Minnesota. 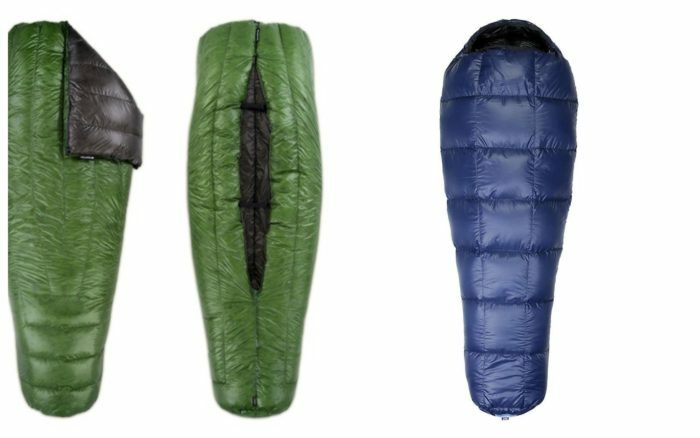 Western Mountaineering is known for their awesome down sleeping bags, such as the SummerLite, rated at 32F for just over one pound. Ray-Way provides DIY quilt options, which come with precise cutting and sewing instructions. DIY quilts are typically more cost effective, and think how proud you’ll be when you can tell your jealous hiking companions that you stitched it up yourself. So next time you gear up for another trip, don’t forget to check out the smaller companies. If you’ve carried alternative gear on your trips, and we haven’t listed it, be sure to mention it in the comments, and happy hiking. *No gear was donated for the purpose of this article. We just really, really like this gear. In 2015, I completed a thru-hike of the Appalachian Trail. From that point on, I have fallen hopelessly in love with long trails, building on my long-time adoration for the wilderness. The following year (and after delivering many pizzas) I undertook and completed a thru-hike of the Pacific Crest Trail. Since then, I have volunteered on the Pacific Crest Trail, performing over 900 hours of trail maintenance, in an effort to give back to the trail and the community. I have hopes of more hikes in the future. Hiking has ruined me. I’ve hike with a Hennessy Hammock for years. In a hammock, your weight compresses the insulation under you and you will sleep cold if you don’t do something to prevent this. the traditional approach is an under quilt. In my mind, this approach screws up hammock campings biggest advantage, weight. I’ve found that using a Big Agnes system sleeping bag with the sleeve for the air mattress keeps your mattress under you and provides all the insulation you need. Since carrying an air mattress allows you to sleep in shelters too, it’s a win-win. At the risk of being excoriated for blasphemy – and for having the temerity to express personal opinions… – I will say it is a shame that such a cult following has grown around (packs) ULA, GG & ZPacks; (sleeping bags) Western Mountaineering, EE, Feathered Friends; (tents) SMD, MHG… The bottom line is that many hikers, even many thru-hikers, cannot justify the price of these products. A culture of elitism has grown up around the brands of equipment that we carry, and I for one think it is insane to spend $600 to save 8 ounces over a $250 sleeping bag (or G-d forbid, the same sleeping bag bought used for even less). The equipment we carry is not a measure of who and what we are (although it may be indicative of our disposable income). A much better measure is why we hike, and who we really are is determined by how we relate to the environment and the people we share it with. Gossamer Gear packs. ’nuff said. Well, almost. SUPERIOR customer service, though you won’t need it. I took their 9.5oz Murmur with me on my ’12 thru. Just before the Water Gap, it and everything but what I had on me was stolen. Though I was calling to purchase another Murmur, Gossamer Gear said no and shipped a freeby to me lightning fast. I had a big beard, I smelled even ‘bigger’ and I generally consider myself a badass but I’m not gonna lie, I got choked up on the phone with them and for the next unusually unguarded couple of minutes my Gossamer Gear customer support rep became an impromptu psychotherapist. Gossamer Gear. ’nuff said. Gear is always interesting, but … need to keep it in perspective. And I like Reboot2016’s suggestion on hammocks. Years ago, I thought a hammock might be the way to go, but never gave it a try (trail hammocks were not available then, but lightweight ones for your back porch were). Now, all this underquilt talk … I dunno. I like to cowboy camp when I can, so Reboot’s idea is appealing.